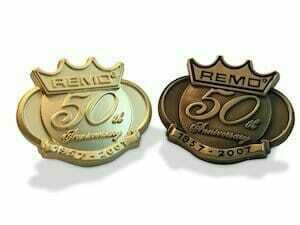 We custom make company logo pins for fortune 500 companies to mom and pop companies! We understand how important brand identity is and the Monterey Company can reproduce your company logo with more than one style of custom corporate pin. We offer PMS color matching, soft and hard enamel as well as cloisonné enamels. Have you ever ordered a company pin before? 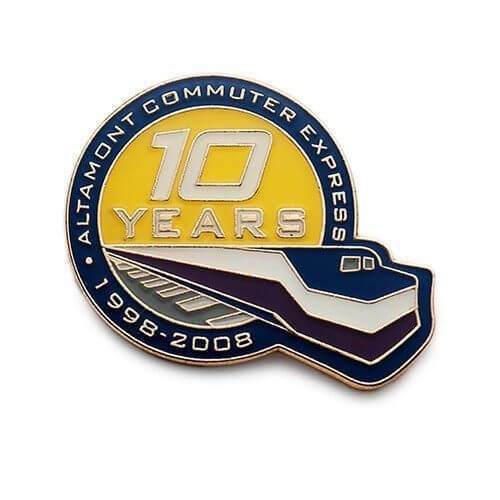 Do not fret, we will design your custom corporate pin after we speak to you and follow up with a colorful proof showing you how your pins for your organization will look. 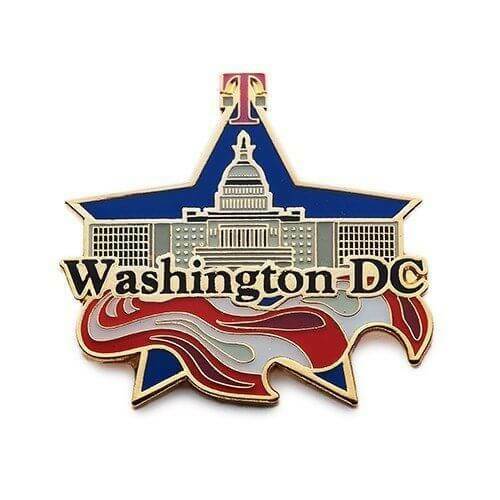 Are you looking for company lapel pins? 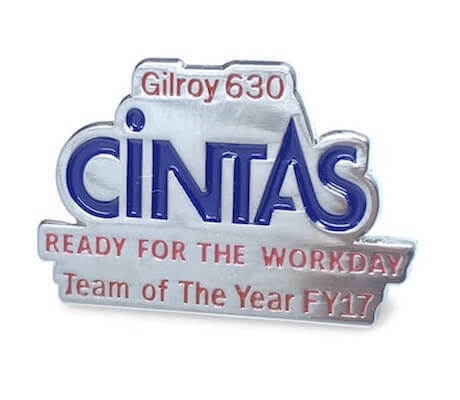 We custom make company pins for fortune 500 companies to mom and pop companies! We understand how important brand identity is and the Monterey Company can reproduce your company logo with more than one style of custom corporate pin. We offer full pms color matching, soft and hard enamel as well as cloisonné enamels. Have you ever ordered a company pin before? Do not fret, we will design your custom corporate pin after we speak to you and follow up with a colorful proof showing you how your pins will look. 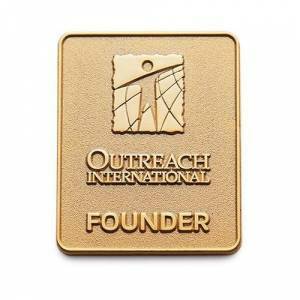 Let us help your business custom design a company pin with your logo. Request a quote and we will promptly follow up with you and make recommendations on creating the best style of lapel corporate pin for your business and that meets all of your branding guidelines. We double strike each design into a solid piece of metal. High-levels of relief can be added to your design. Each design is plated and color filled or recessed areas can be sandblasted. We hand polish our lapel pins leaving raised area shiny. Recessed areas can either be antiqued or can be shiny. The difference between shiny finishes and antique finishes in the plating that is used. Antique plating can be made with lighter or darker finish. We can create pre-production samples for you so you can make sure that the meet with your teams approval prior to receiving all of your company pins. What are some of the best design features? The best features of this pin style are it can be made with a 3D die. Three-dimensional dies can enhance a design by creating a sculpted look. 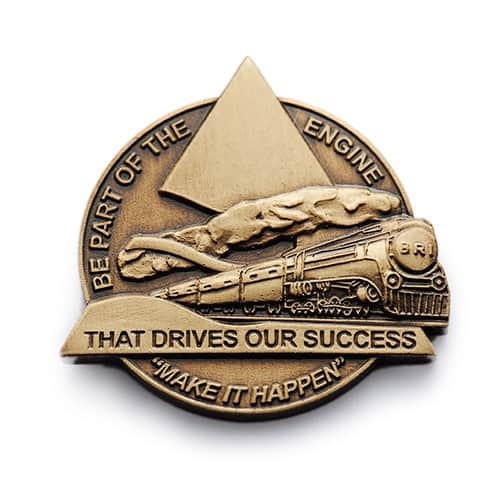 If you need a die struck pin in a rush, we can create USA-made pin in just a few days. Options include engraving, gemstones, and upgraded attachment like deluxe clutches. We also offer real gold plating for anyone looking to have a jewelry-like finish. Die struck lapel pins are elegant and can be made in any size or shape. Our 2D designs can include varied levels of metal and textures. Company Pins Can Be Made In Days! The first step is to select the pin style. We offer a variety of company pins. Including leadership pins. Next, select the enamel style you would like. Choose between soft and hard enamel and cloisonne. Select the shape and quantity and finish color. Lastly, choosing 3D over a 2d can greatly enhance the look of your pin design. We look forward to working with your organization. We can engrave the back of the company pin with a small logo, message or date. The front site can also include engraving. Engraving can also include color filling the engraved areas so the letters or words can really stand out. We can match colors exactly on most of our custom-made lapel pins. The exception is our cloisonné pins, as they are limited to a few hundred rich colors. The most common fastener for our company pins is the post and clutch fastening, which pushes through clothing. If you prefer a fastener that does not pierce clothing, we can provide a magnet for an additional charge. You can choose from copper, bronze or iron. The magnet fastener requires the pin to be made from iron in order to create a powerful hold.